Today is the first day in 2015 and we believe it as our duty to wish all our customers a healthy and prosperous new year. Let us welcome 2015 with an impressive display of product news. Have fun reading and exploring. 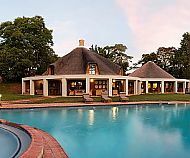 Lilayi Lodge is considered as one of Lusaka’s finest address for lodging and dining, located just a 20 minutes’ drive outside of Lusaka. It is located in a fantastic environment to spend a couple of days of relaxation. 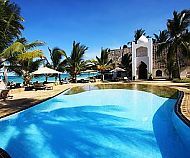 The Voyagers® team has increased the number of hotels, lodges and guesthouses in our portfolio for Zanzibar now to 40. The choice you have nowadays is really huge. Plus, besides flights on Kenya Airways from Ndola, Lusaka and Livingstone via Nairobi, we have now also managed to have packages based on Fastjet flights ex Lusaka online. Don’t forget InterAir operating between Ndola and Dar es Salaam. New year – need a change – another car? Chevreolet Aveo is comfortable and practical – it offers a 1500cc gasoline engine that will give a rare combination of fuel economy, speed and durability. Chev Aveo has sporty and luxurious styling that makes it outstanding. 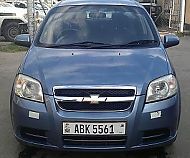 Chev Aveo is a car for the African tough terrain and fuel-tight economy. We have good stocks with low mileage! Call for a used but very reliable car with traceable service record at Voyagers® Rentals Limited or view Pictures online. Please take note of our new central telephone numbers below for our Lusaka and Ndola office. These new numbers will enable clients to be redirected to the preferred department or staff member much quicker than before.